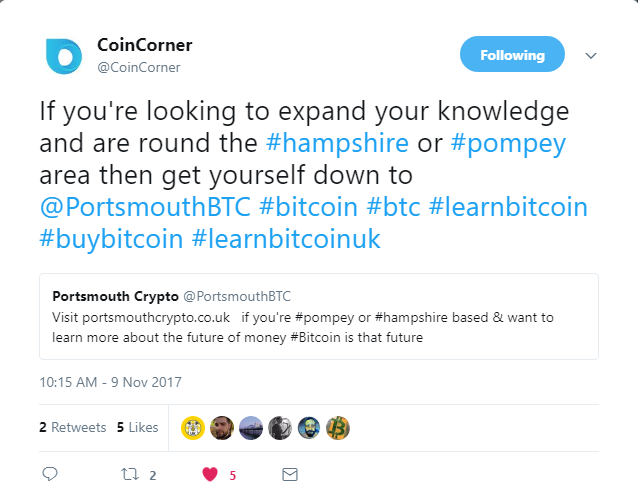 Matt has a talent for explaining Bitcoin & cryptocurrency complexities to newbies. 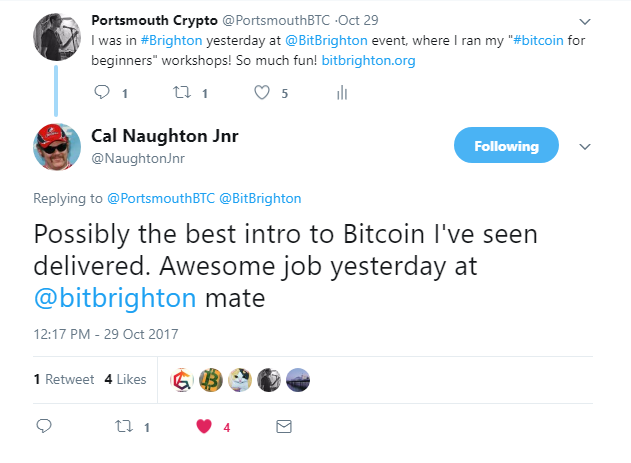 Since meeting Matt at CoinFestUK in 2015 I have found his knowledge ever more impressive. 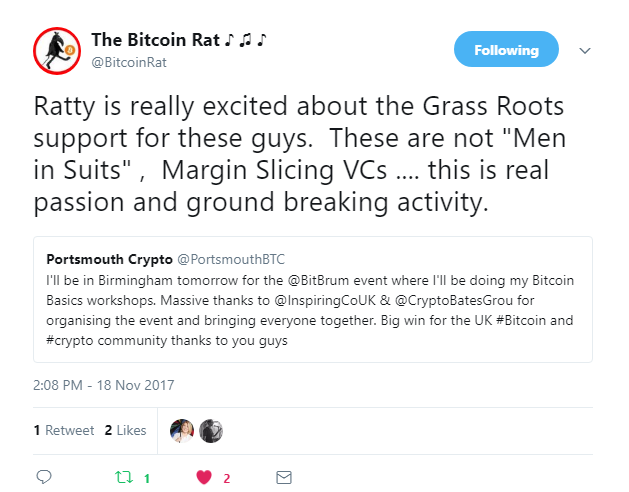 Matt's insight into the cryptocurrency space is inspiring and his talks and workshops have proven popular with newbie audiences throughout the UK. 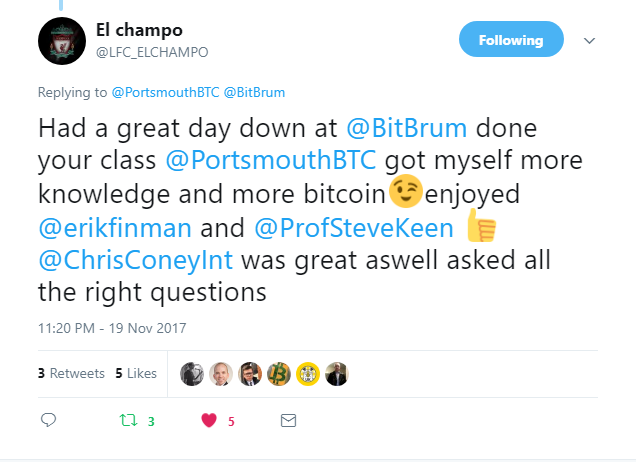 The Workshop provided great insight to a range of crypto currencies. The dynamics of the market were clearly set out. Realistic views of potential upside and various risks were given. Matt knew his stuff- his open style allowed people to have real questions answered. 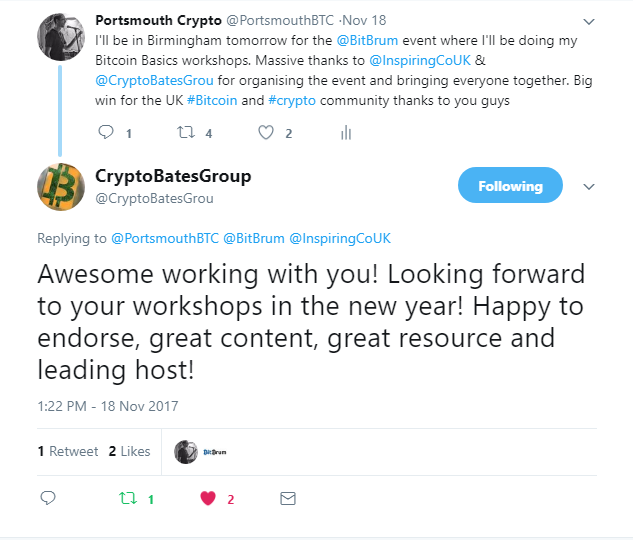 You have supported me (CryptoBatesGroup) from the very first CoinFestUK where your services were well received. 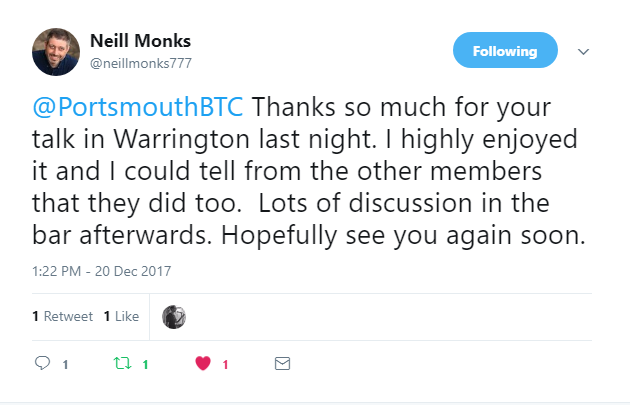 We have plans for Portsmouth Crypto working with CryptoBatesGroup around the UK to host workshops and training sessions for all levels of Bitcoiners. I totally enjoyed the evening [Brighton Digital Festival 2017] & thought you were so knowledgeable & answered the questions brilliantly. My friend sold me £40 that night & now he tells me it is £50, so I do intend to contact coinbase & buy more. Thanks again!